TV Credits include Casualty, Eastenders, Arthur's Dyke with Pauline Quirk, Famous Five, Pobl y cwm ,Glanhafren, the slate, friend or foe, Ar y bocs, Nuts and bolts, The tribe, vox pops ,children on screen, BAFTA FILM somethings, Hollyoaks. Radio credits include sea urchins with Richard Wilson, Merthyr murders BBC Radio Cymru and Radio 4 drama hour. Theatre - "Mystery bouffe" National youth theatre of wales , represented britain in world drama festival in copenhagn, Schools out and fashion victim with bridgend college and TAJ west end play LONDON. I started dancing at the age of 2 and a half and took part in all exams, competitions and festivals. Acting followed where i had training for 9 years with a Director and Agent at the HTV studios in cardiff. I won best newcomer at the bafta cymru film festival in 2001 for the film somethings. After gaining experience in film, tv and radio i taught acting for Tv and film to children and adults for five years with Tornado films before joining academy in 2004. NCSSE Stunt and Tumble 1-4. 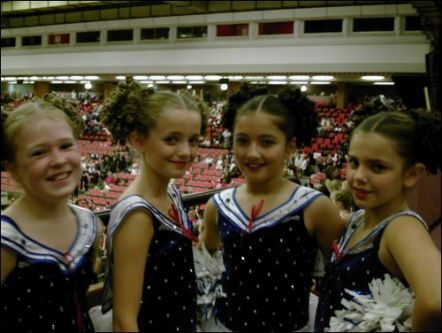 Member of (BCA) British Champions 2009, Senior Cheer level 4. Runner up Senior level 6 solo in COA Ultimate Nationals, Orlando Florida 2011.